Scientific Technical Services (SciTech) supports research, scholarship and teaching by providing access to advanced multi-user scientific instrumentation, machine and electronics shops, and equipment design, fabrication and repair services. Through its core facilities, SciTech helps Western researchers accelerate the discovery of new knowledge, partners with instructors to teach graduate and undergraduate laboratory classes, and provides regional industry access to specialized equipment. Students, staff, and faculty from across campus rely on SciTech for expert advice and training on scientific instrumentation, assistance with laboratory class instruction, to design, build, and repair equipment, and assist in the analysis of research and classroom samples. Hundreds of users come through our doors each year with projects ranging from the analysis of water quality samples, to the repair of antique Steinway pianos and the construction of custom equipment for Western athletic teams. For over 30 years SciTech has been a centerpiece of Western’s innovation infrastructure, supporting research, creativity, and learning campus-wide. Services and equipment are provided free of charge to Western users and on a fee-for-service basis to external clients. Internal users may be asked to cover the cost of project consumables, such as chromatography solvents. External users are charged hourly rates for staff and instrument time. Students requiring SciTech services for academic purposes should work through their course instructor or faculty advisor. To request services or for more information, drop by one of our locations or see our Contacts page. Instrumentation reservations may be made online using the FOM scheduling system. 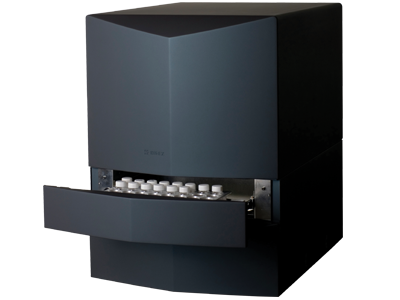 A new high sensitivity Hidex 300 SL liquid scintillation counter is available in the Instrument Center. For more information contact Sarina Kiesser. STS staff member Mike Kraft images soot particles from wildfires. Read more here. STS offers free microscope tune-up services, including cleaning and alignment. Contact Jason Bryenton to schedule a service call.